Hello world! I am back. After a brief hiatus to take some dumb engineering test, and then some subsequent rest to do things like see the sunshine, remind friends that I exist, and generally sit doing nothing at all, I am ready to bloggulate again. Let’s kick this biatch off with Brenda’s. 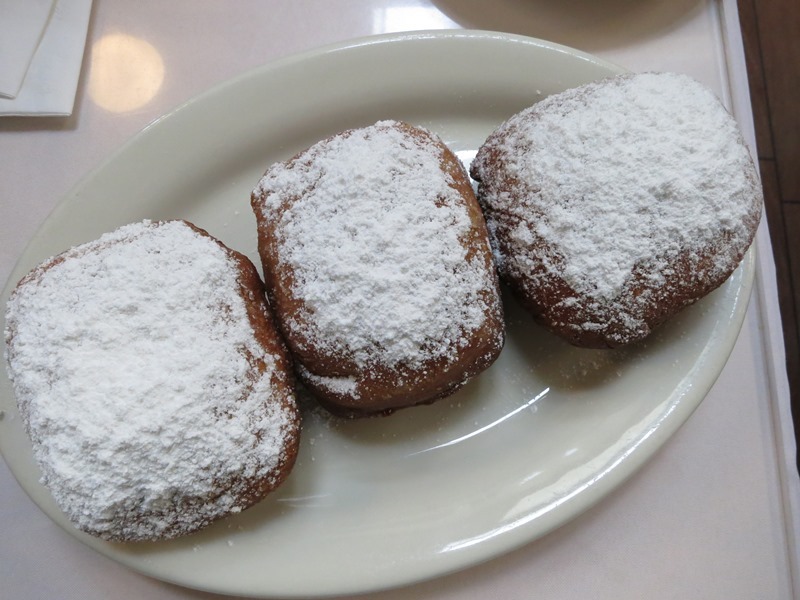 Brenda’s French Soul Food is in the TL. That’s SF-speak for the Tenderloin. Which is the filth-ridden, junkie-laden, pristinely located neighborhood right in the middle of the city between all the other neighborhoods you like (ex: downtown, Hayes Valley, Nob Hill, etc.). The Tenderloin is like San Francisco’s booby trap for visitors who stumble into the area accidentally, and just a puss-filled blemish on the landscape that natives avoid most of the time…. The awesome thing about having a food blog in SF is that it’s no longer necessary to write bad reviews of restaurants. There’s just too much good stuff here to waste time on sub-par food. Chaya is one of the best places I’ve been in a while. It’s mom’s birthday. More than a pony, she wants a nice meal at an upscale restaurant — preferably with a view of the water — and a fun night with her daughters. 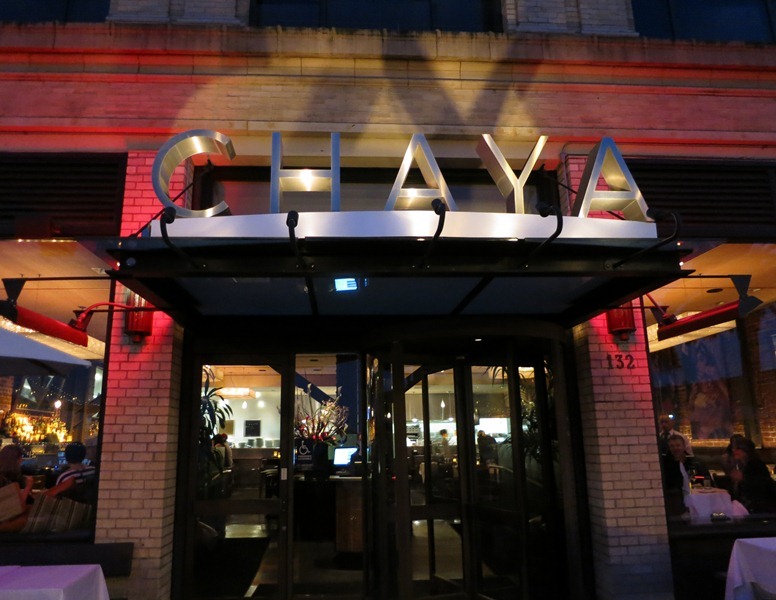 Choosing a restaurant is always difficult, but we settled on Chaya, though none of us had been there before. Chaya is on Embarcadero across the street and a bit south from the Ferry Building. It has large windows that look directly out onto the Bay Bridge. The atmosphere is fancy but not pretentious. The menu is amazing. Looking for a romantic dinner for two in the City? Cafe Jacqueline fits the bill: dim lighting; cozy, high-ceilinged dining area; chic vintage minimalist decor. This North Beach restaurant isn’t your standard Little Italy establishment for sure, but it’s also unique in the City as a whole. Which isn’t something you find too often. 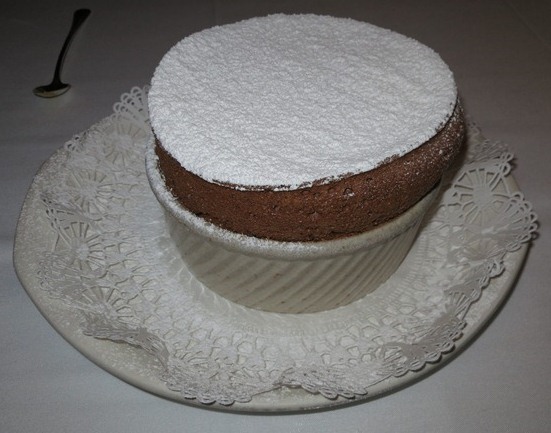 What Cafe Jacqueline does is souffles. What is a souffle? It’s something that people of my parents’ and grandparents’ generation revered and feared. Like Donald Trump’s hair nowadays. People probably used to look to Julia Child for guidance on this difficult and notably finicky dish; I’d just go to Jackie*. Since Wiki says it best, I’ll just quote that a souffle is a “lightly baked cake made with egg yolks and beaten egg whites combined with various other ingredients and served as a savory main dish or sweetened as a dessert”. Yeah, that. As a savory dinner dish, it’s like a ramekin-ed, puffy quiche. As a dessert, it’s like an airy, warm cake….